Can you believe I’ve managed to keep up this little blog for four whole years! I’m a little surprised I’ve stuck with it, honestly. I never intended it to become a diary of sorts to share my life, my thoughts and my fears. Sometimes I’m afraid of over sharing and other times I feel like I could give more but I suppose it’ll always be like that. I’m going to continue on with my little blog sharing the parts of my life you never wanted to know about in the first place, and I’ll continue to post a gazillion photos of my Max and ramble onandonandonandon about the most important of things. So, cheers to another year of blogging! And Friends! And Family! And being the best you that you can be, because that’s important. 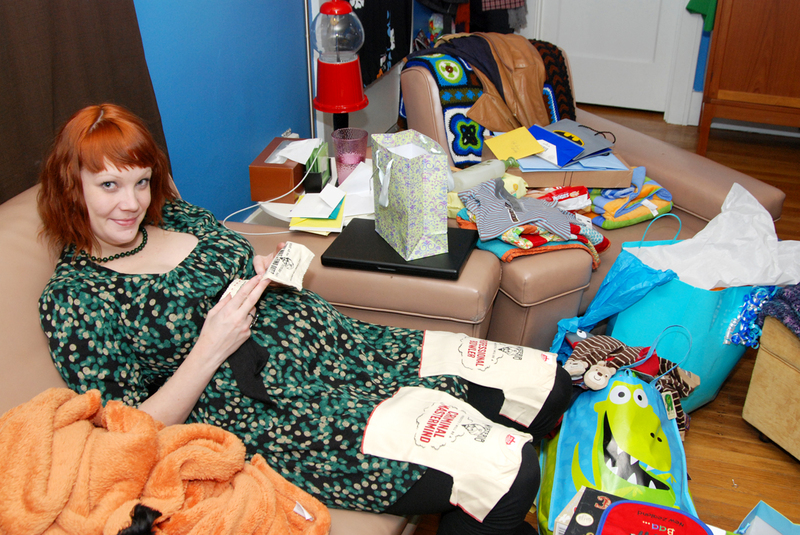 It’s 2011, which means it’s been two whole years since I started this blog. Woo hoooo! For celebrating the New Year I decided to stay in. I wasn’t alone though. Since Rob had to work at the bar, and that was the last place I wanted to be on NYE, my friends Mike, Devo, Shauna and Kris V. spent the evening with me at home. We decided that even though it was just the 5 of us we still wanted to dress like we were going to hit the town. 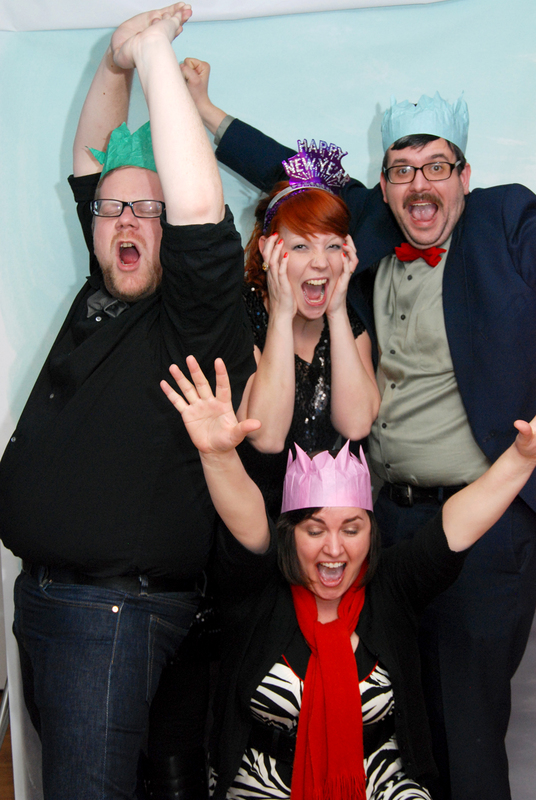 Mike even set up a photo booth for us to have fun with. I got to snap a photo with Rob before he left for work. 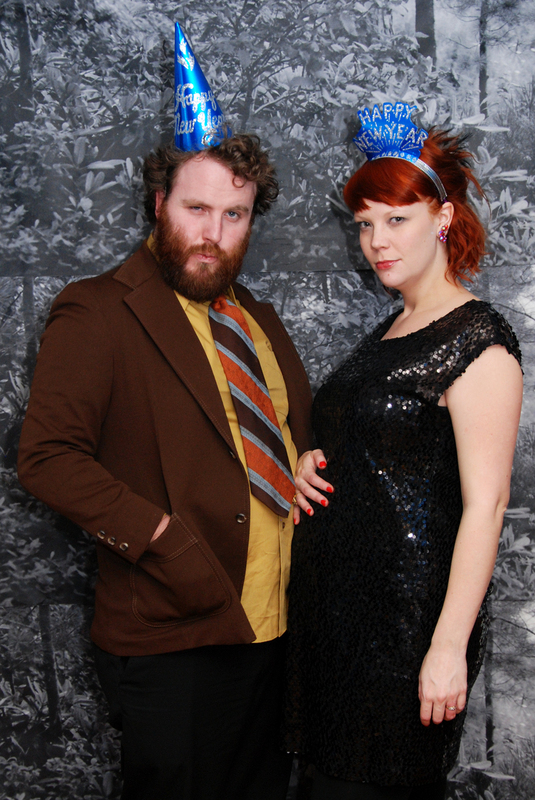 This is our “WE JUST WON THE LOTTERY!” pose. Needless to say, we rang in the New Year in style and spent New Year’s Day following my tradition of watching the Lord of the Rings trilogy. 2011 is going to be fantastic. I can feel it. 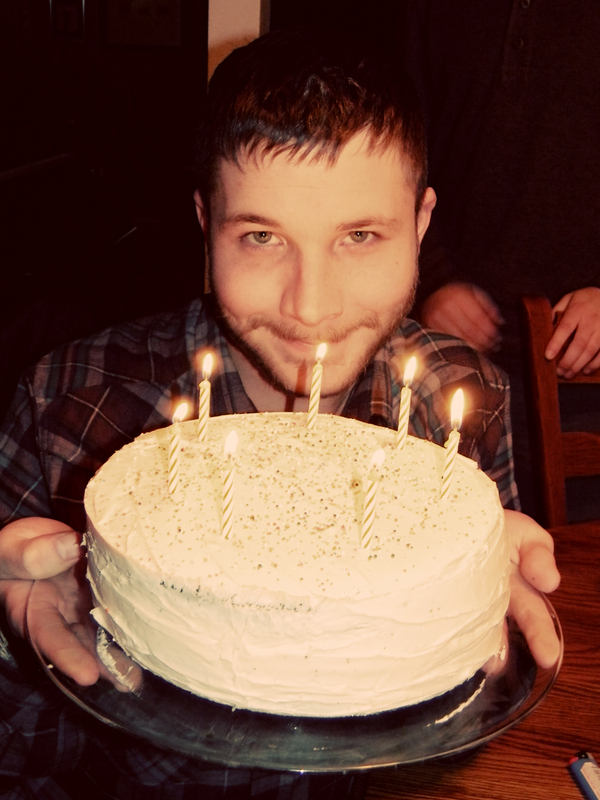 Just 5 days into the new year, and it’s my brother’s 20th birthday. My little brother isn’t so little anymore. 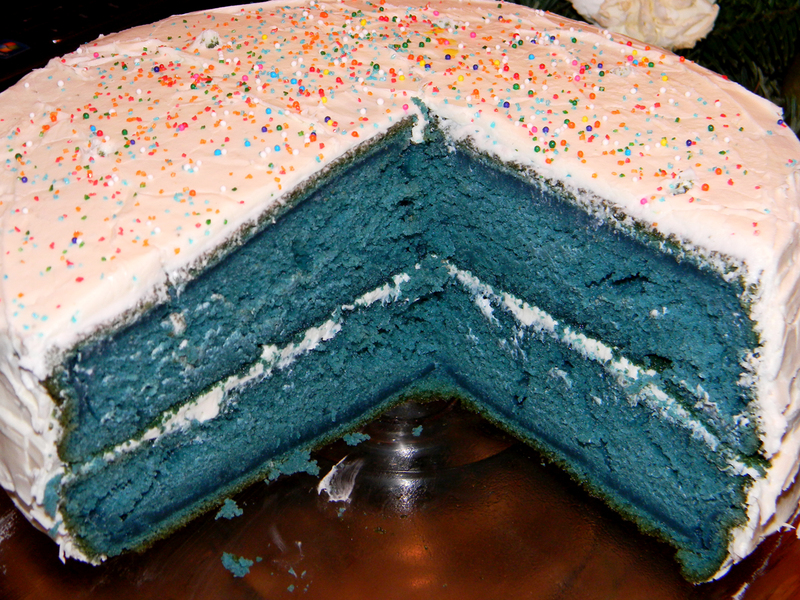 He wanted a red velvet cake, but I didn’t have enough red food coloring so it was blue. It was a pretty damn good cake too. 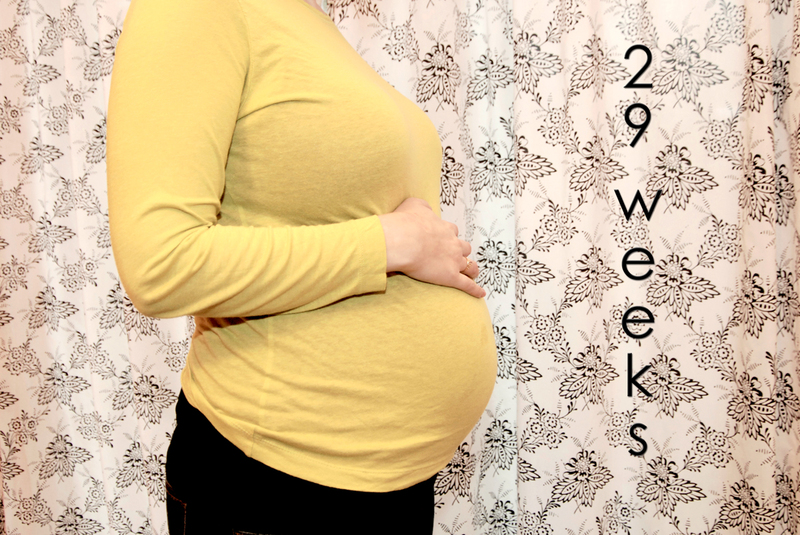 This last week I hit the 29 week mark in my pregnancy. 11 weeks left. I had a realization of sorts on NYE. Before everyone came over I was relaxing on the couch cause my back was hurting pretty bad. Then I noticed my belly was really tight and there was a lot of pressure. I had felt that before, and it just dawned on me what was going on. I was having the infamous Braxton Hicks contractions. They didn’t hurt, and I hear they’re not supposed to, but were just a little uncomfortable. To relieve them I drank lots of water and relaxed until they passed. It was pretty amazing how hard my belly got when they were happening. Then it would go back to squishy. The human body is a wonder. Haven’t had them since, but I know that wasn’t the last I’d see of them. 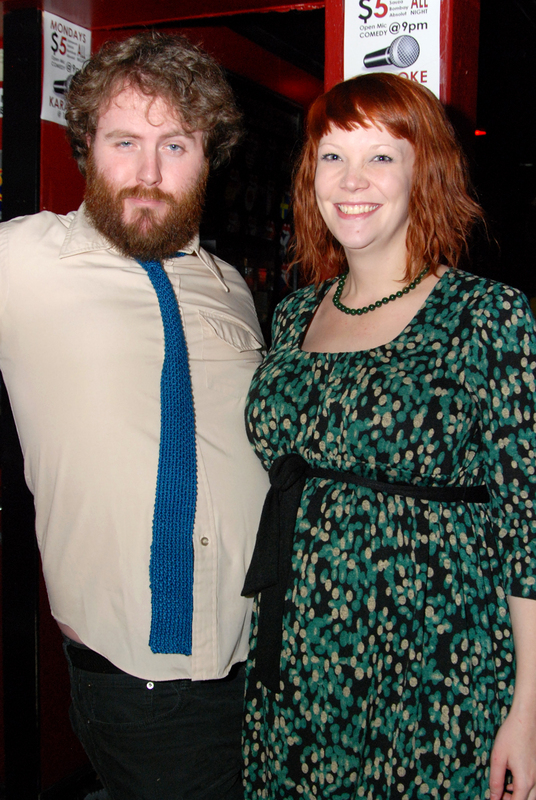 In other pregnancy news, we start our birthing classes today, January 9th. I’m pretty excited for that. 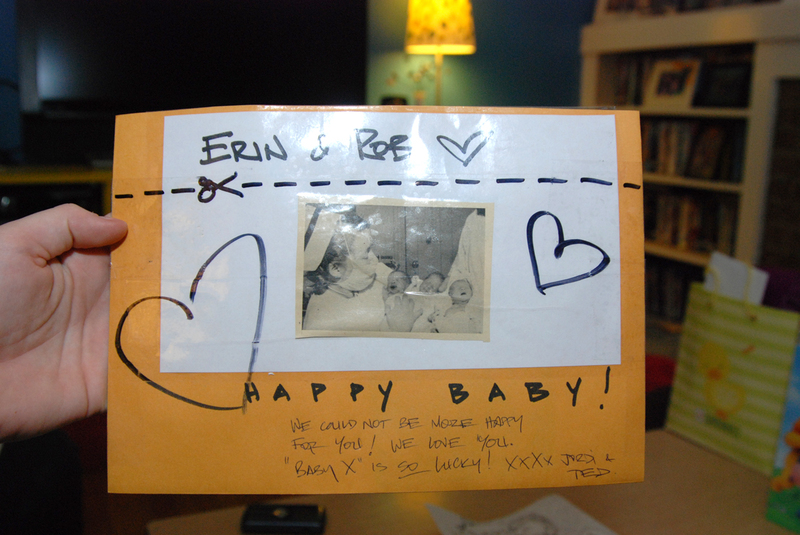 We also had our first baby shower yesterday! 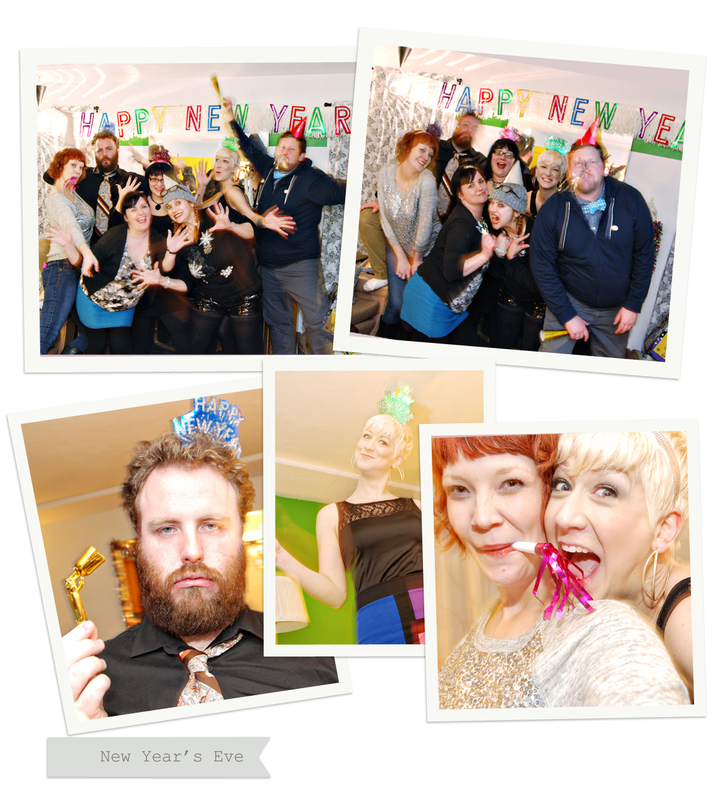 Our amazing friends Katrina, Joy, Shauna and Mike put together a fantastic party that was soooo Rob and Erin. When Rob and I were walking up to the bar (yup, it was at the Boiler Room) I started crying. Good, happy tears of course. I was just feeling a little hormonal. Walking in and seeing every little detail they put together for us was overwhelming. From the food, to the decor, and the music. 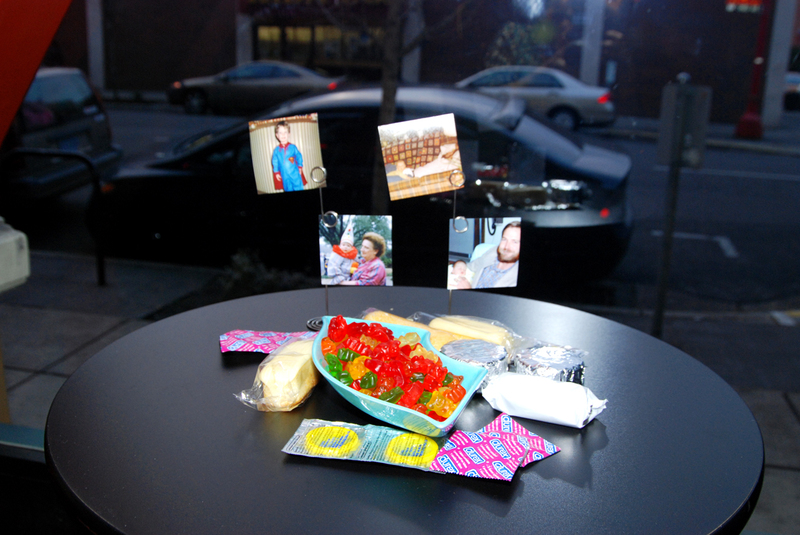 The tables were full of gummy candies, Hostess baked goods, baby photos of us, and yes, those are condoms. 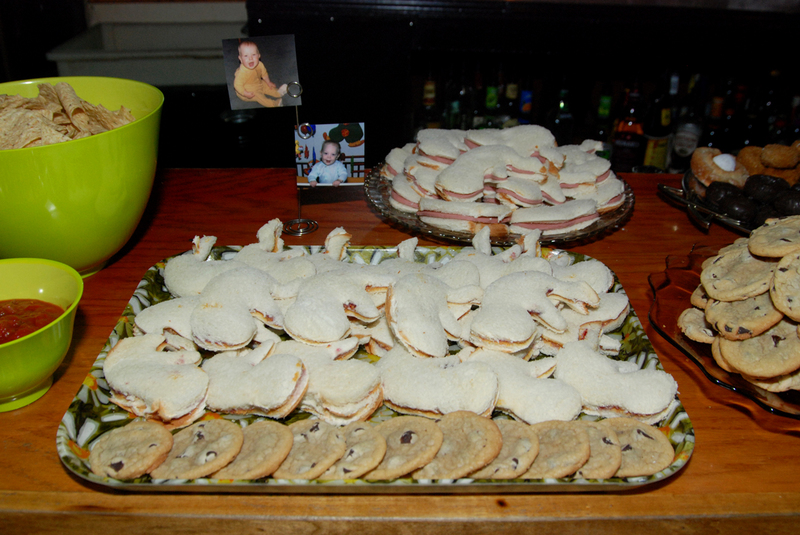 There were even fetus shaped sandwiches in PB&J and bologna. Both Rob favorites. There was also a hot dog bar! 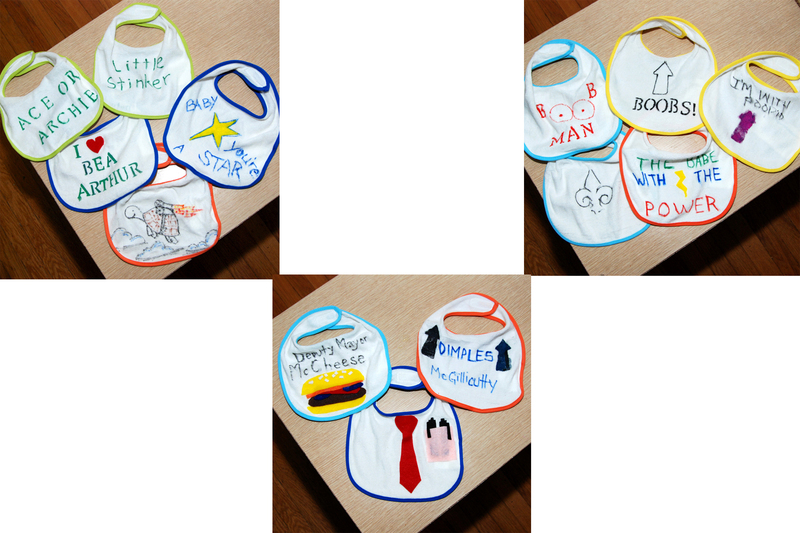 One of the activities was to make a bib for the baby. These are the bibs we walked out with. 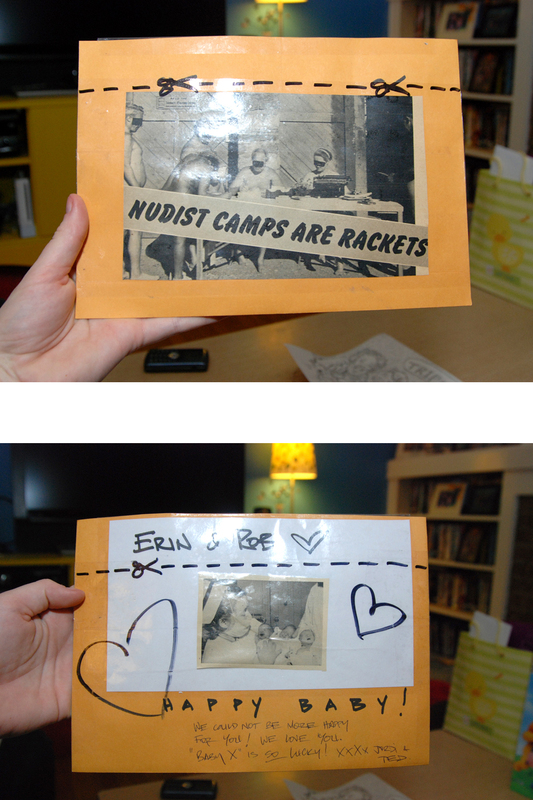 We have such creative friends! 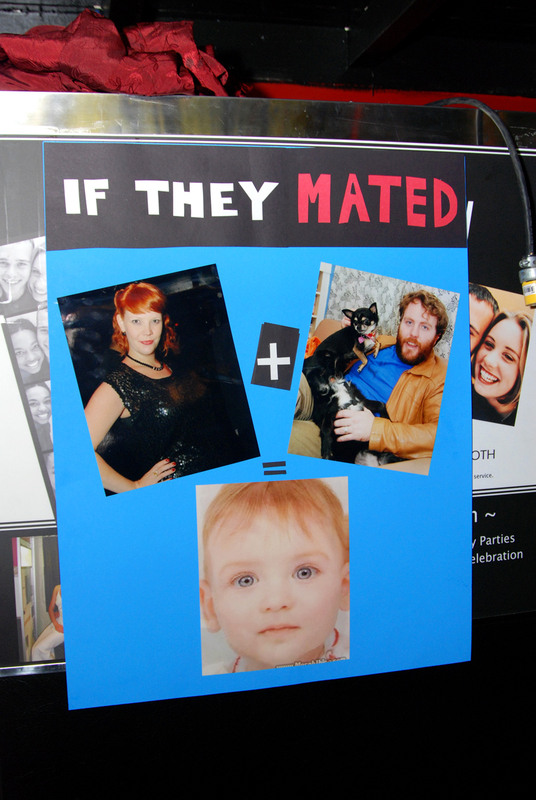 Favorite decoration: If They Mated. Well, we did and hopefully our kid will be as cute, no cuter, than this guy. 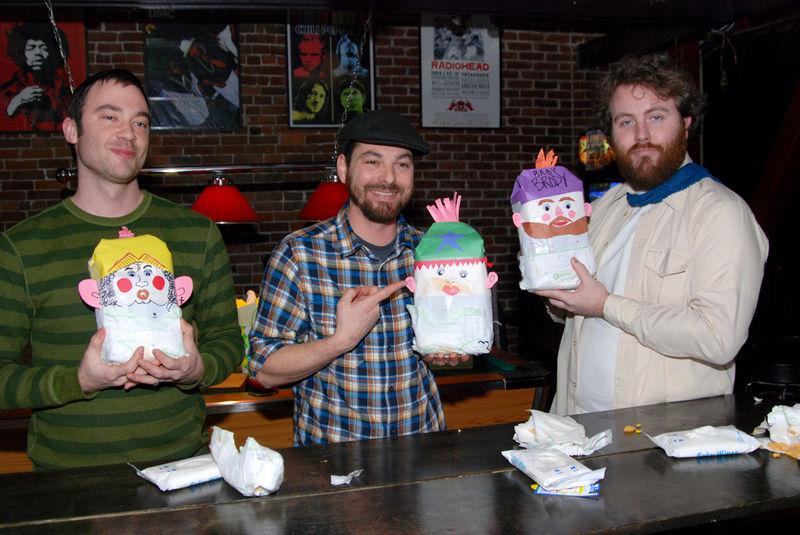 There was a game where Rob and two other willing men (these two, Dustin and Tony, just happen to already be fathers) have to change the flour baby’s diaper. The diapers were full of creamed corn and caramel which made for quite the mess. Rob did not win, but he will have plenty of practice soon enough. 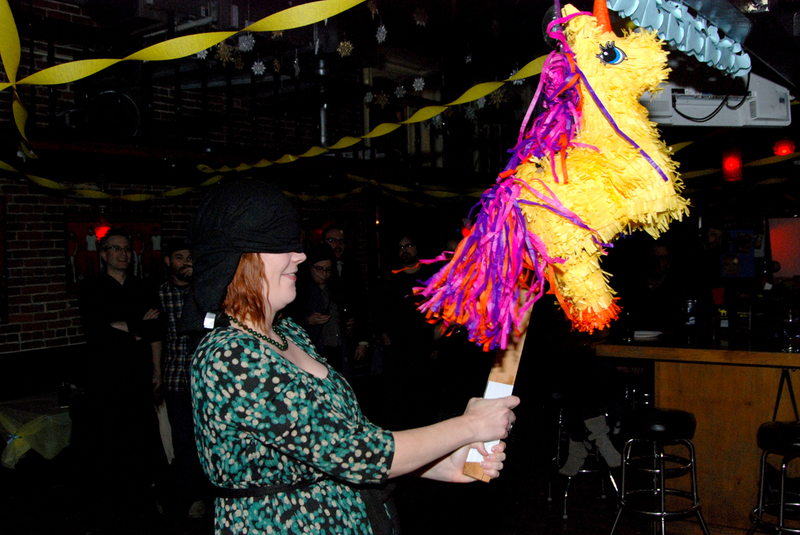 There was also a pinata, which I beat the crap out of. Rob is showing of his pregnant belly too. 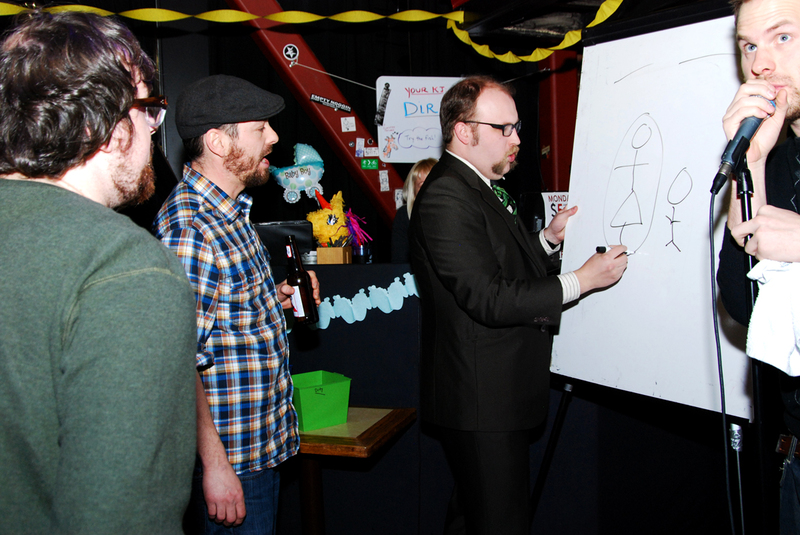 There was a fantastic game of Fetal Pictionary. My team, the Baby Trucks, may not have won but we had a blast playing. 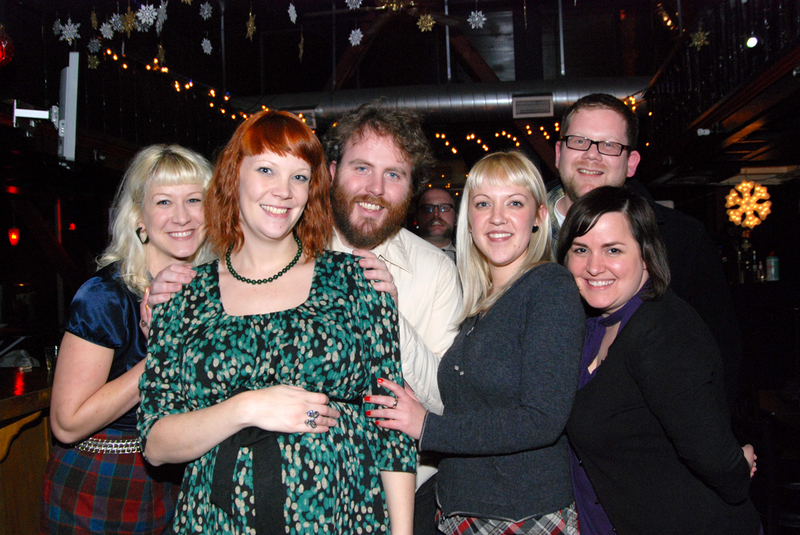 Rob and I with our amazing host and hostesses, and please note John Meyers peeking in between Rob and Katrina. Thank you guys for an amazing shower! 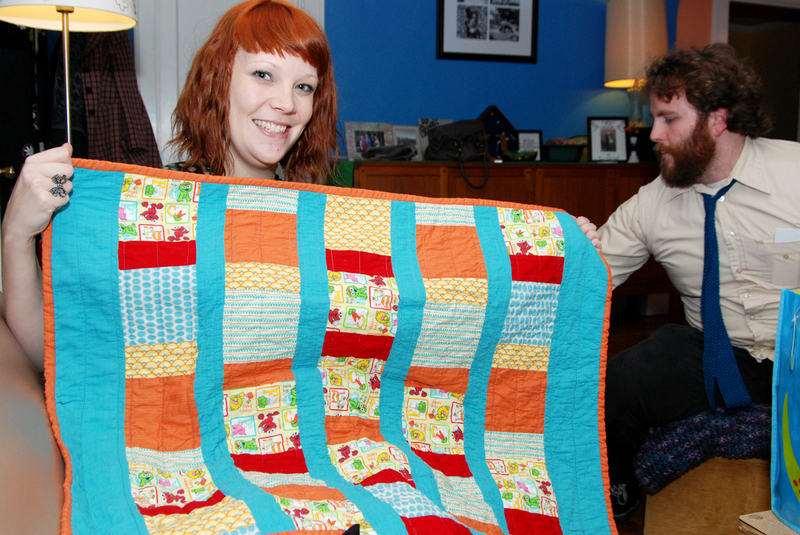 A Sesame Street quilt made by our friend Jenny Bevacqua! Perfect! We received two Mysterio shirts. One from Kate and Tony, and another from John and Hazel. The shirts come in a cloth bag that’s sewn shut, so opening it is like opening a fortune cookie. Our child will be a criminal mastermind and/or a professional bowler. Awesome gifts! And best wrapping goes to Jordi Barnes. This reminds me of how she wrapped another gift for me for my bridal shower like a school lunch complete with a vintage Charlie’s Angels Thermos and mixed CD’s wrapped like a sandwich. 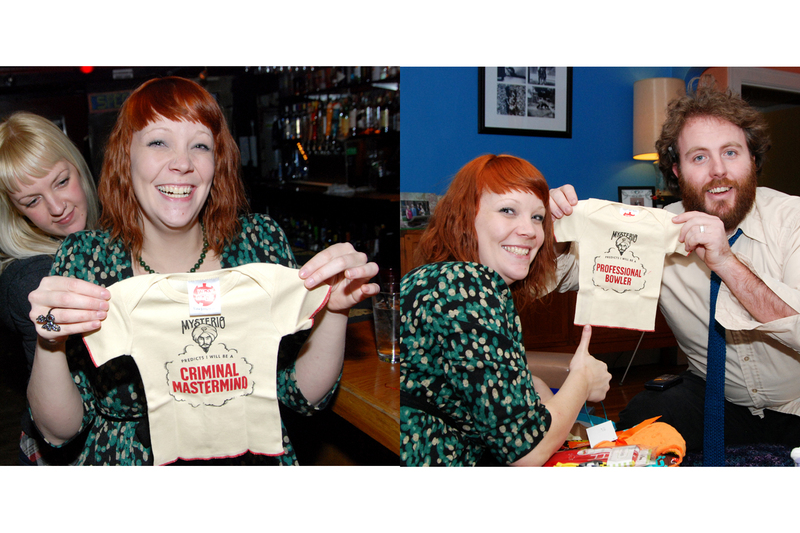 Congratulations Jordi on your gift wrapping skills and your Future Girl arriving around the same time as Campbell Baby! Greg Bigoni. 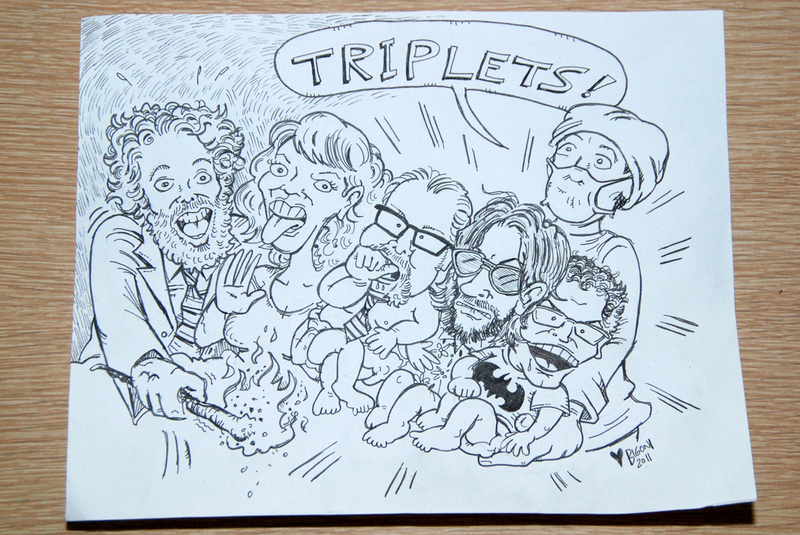 This is a drawing of Rob and I with our triplets John, Trip and Faux. All good friends, but still frightening. We’re going to frame it and find it a hanging home somewhere in here. Thanks Greg! We received so many great gifts and couldn’t be more grateful for our amazing friends. I can’t wait to introduce the kid to each and every one of you. Rob and I are the luckiest people on the face of the planet.